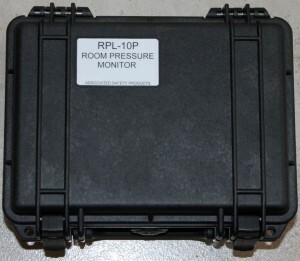 The portable Room Pressure Logger (RPL-10P) performs the same primary function of a wall-mounted RPL-10 — continuous monitoring and logging of differential pressure between adjacent spaces — with the convenience of a durable, portable case for use on construction sites. It operates on battery power or plus into a wall outlet. When using battery power, turn off the display backlight to prolong battery life. 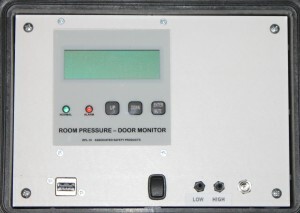 The unit complies with USP 797, OSHPD, CDC and CAG 003 guidelines.